Ever wondered what are the essential things inside a designer’s bag? You might expect some pens and coloring tools inside the personal bag of an illustrator or some make-up kit and accessories in a fashion blogger’s bag. But you’ll be surprised that some creatives of the same professions have some personal things very unusual that speak with their personality and style. A recent project by Daniel Eckler, an Interactive Strategist from Canada, explored this concept. Taking a peek at some of the personal items creative people can’t live without is a rare opportunity. Daniel reached out to 100 global creatives to take photos of their essential items, compile and curate them in a visually stunning website called ESSENTIALS. From photographers and architects to designers and bloggers, the collection showcases a diverse view of a small piece from the lifestyle of these creatives through a peek at their personal items mostly found in their bags. Art directors, photographers, design bloggers and artists like Levi Van Veluw, Amy Woodside, Sarah Magwood, Ellen Van Der Laan, Dave Gorum, David Hertz, Tom Blachford and yours truly have contributed in the project. We got the chance to talk to Daniel about some background notes about this amazing idea. Check out the short interview below and some of our favorites from the collection. YTD: Tell us some background of this project. When did the idea came and how it was realized? DANIEL: We’ve been working on a brand called MIJLO this past year, focused on simple solutions + timeless products for small spaces. Small spaces need small closets, and it’s our belief that a backpack is one of the most essential pieces of clothing that someone can own. We started with a Kickstarter campaign, “A Better Backpack“ which is founded on the principles of timeless, minimal, sustainable, durable, etc. design. We were looking at unique ways to promote the campaign, as well as do something fun with our creative friends, and the “Essentials” site made perfect sense. YTD: What is the main goal of this project? DANIEL: Our goal with both Essentials and A Better Backpack is primarily to start a discussion about sustainable design. Fast fashion is a big problem (debt, waste, social pressures, etc.) and we’re big believers in only buying what you need. Hence, “Essentials“! YTD: Of all the submissions, which of them do you find most unusual yet very interesting? DANIEL: I have lots of different favorites for lots of different reasons…as far as the most unusual, I think Matt Barnes from Westside Studio. There are lot of unique objects, that don’t feel like “essentials” intuitively, but looking at them all together, they really do feel like they’re essentials for Matt. YTD: One thing you always have in your bag. DANIEL: I keep everything I need in my pockets! Yours truly is honored to be a part of this project and below is the photo of my “essentials”. Now it’s your turn! 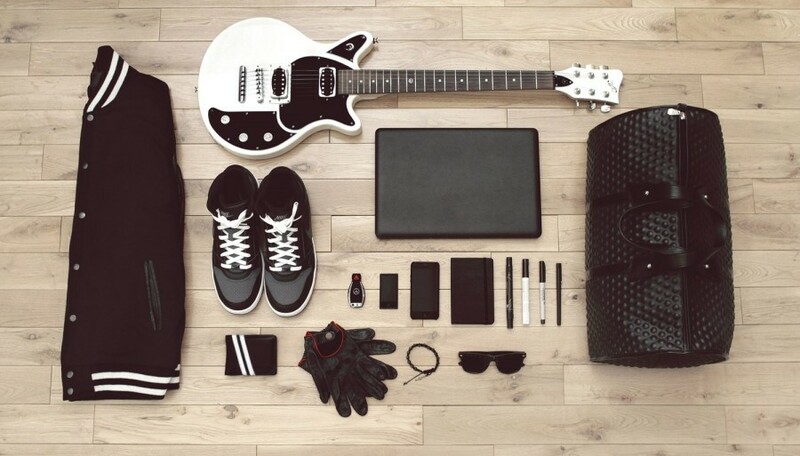 What are your “essentials” or things you always have in your bags? Share it to us by leaving a comment below!